NEW YORK, Sept. 5, 2014 /PRNewswire/ -- Magisto, the cloud-based mobile video platform that uses artificial intelligence to create high-quality movies from users' photo and video footage, today announced the launch of a fully AI-powered editing feature called Surprise Me. The new feature automatically determines when enough new media has been added to a life event, analyzes the content and combines the relevant photos and videos into a unique and emotionally powerful personal video that gets delivered to the user. With the arrival of Surprise Me, Magisto hopes to bring to life the unused media clutter present on most smartphones and transform these otherwise dormant and abandoned videos and photos into personal movies through a friction-free experience. Surprise Me has been available in beta since April 2014 to Magisto's 40 million users worldwide. 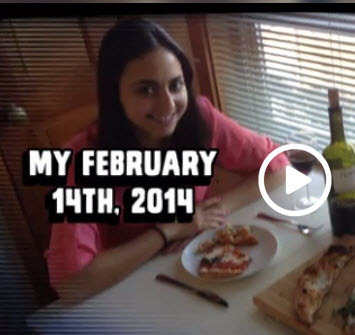 The platform has produced a total of 12 million Surprise Me videos made across its iOS and Android apps. Users have shared their Surprise Me stories nearly a million times on social networks and reaction to Surprise Me videos has been positive with movies receiving an average 4 stars out of 5. "Magisto was born from my desire to find a way to easily create keepsake movies of my family," said Dr. Oren Boiman, CEO and Co-founder of Magisto. "I never imagined that one day over 40 million people would use the Magisto technology to create and share millions of videos. 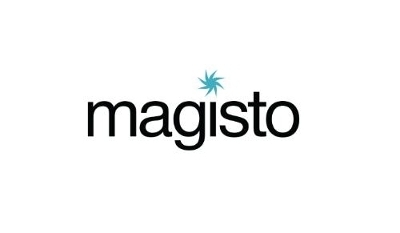 Magisto's growing success is a testament to the ability of AI-enhanced technology to enrich the human experience and deepen our emotional connectedness." Artificial intelligence and connectedness have become inseparable components of the technologies that touch most of our lives each day. Whether we are unlocking our cars with our phones or receiving recommendations tailored to our tastes, AI is the unseen engine driving these deeply personal experiences. Magisto has long been a leader in applying this evolved technology to the video editing process: first with the introduction of its Emotion Sensing Technology which generates a deep understanding of what's actually occurring within the scenes of a video and today, with the launch of a fully automated movie creation experience. Unlike a regular Magisto movie that is made when a user identifies the content to be fed into a video, a Surprise Me video is fueled by artificial intelligence from start to finish. The feature analyzes a user's camera roll, selecting from current events and nostalgic events, to create a brand new video that uses content, theme, music, and effects selected solely by Magisto's patented Emotion Sensing Technology. The number of Surprise Me movies that Magisto serves its users depends on the user's activity and how much content they feed into their profile. When a movie is created, the user receives an alert at which point they can watch the movie and decide to delete it, keep it, tweak it to their specifications and share it through their own social networks. The six-month beta period has increased the technology's intelligence, speed and ability to accurately and intuitively analyze and combine videos and photos into an emotionally coherent video. Do You Need Help with your Public Relations? Do you want to see your products and services in the media?